The Golden Apple Selection Committee, made up of community and business leaders, is charged with the arduous task of selecting the Golden Apple Recipients as the applications are reviewed and narrowed down to 30 finalists. 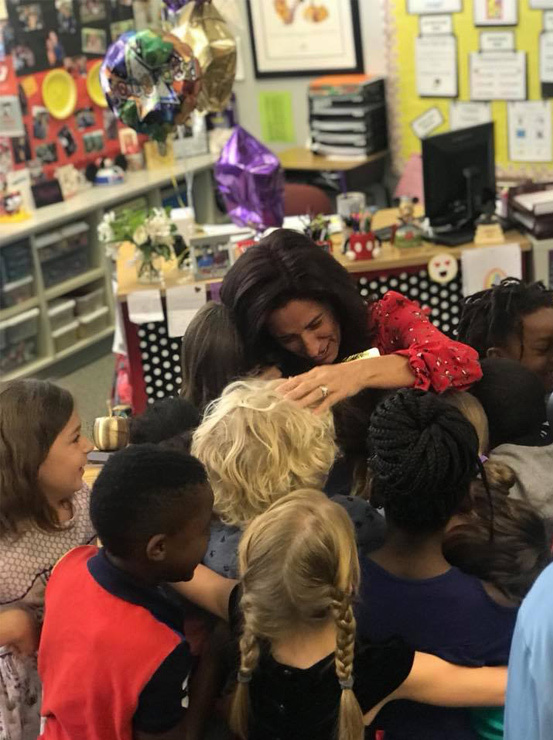 Those finalists are personally interviewed and observed in their classrooms by the Selection Committee and six teachers are chosen as recipients of the Golden Apple Award. 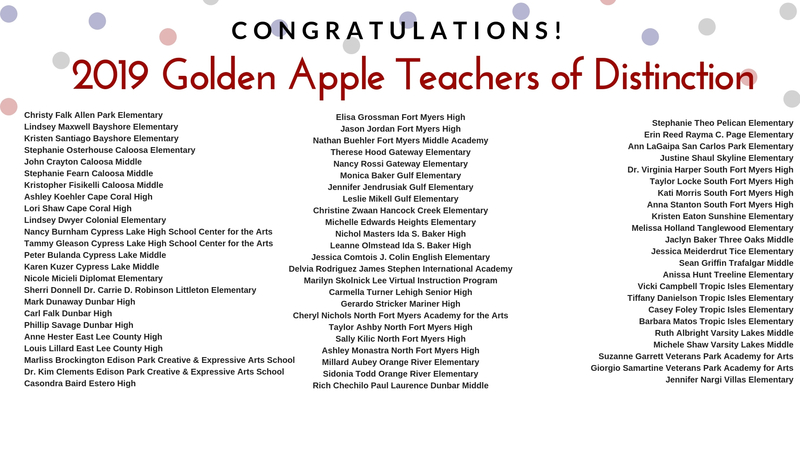 The six recipients are guests of honor at the Annual Golden Apple Teacher Recognition Banquet. 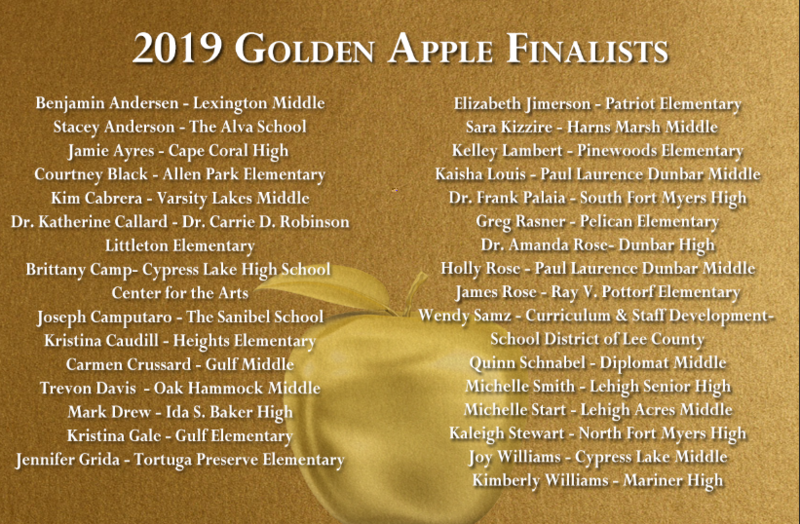 This elegant black-tie affair is an opportunity for the community to recognize the Lee County Golden Apple Recipients, Finalists, Teachers of Distinction and members of the Academy of Teachers.